Win a Retronix R-800 Guitar by J. Backlund Design! Create a great music video and win this amazing J. Backlund Design guitar. It&apos;s the Summer 2014 “Music Video Contest” here on StreetJelly. Members will vote the winning music video, anyone can win! Round 1 - Top 10 Elimination All StreetJelly musicians enter the contest by merely performing on SJ during this time. The Top 5 musicians with the most viewers and the Top 5 musicians with the most tipped tokens in this round will become finalists. Performances must be at least 30 minutes long. So play often, tell all your fans, and collect those tokens. Follow the Leaderboad to keep track who&apos;s in the top spots. Create New Music Video The finalists from Round 1 will have five days to create a new music video (original or cover) and upload to their YouTube channel. The musician must mention this StreetJelly contest in the video so we know it&apos;s newly created. Round 2 - Everyone Votes for Favorite Video! The StreetJelly community of viewers and musicians will have two weeks to view, analyze, and vote for their favorite video. One vote per user. Tell your friends to vote for your fav. 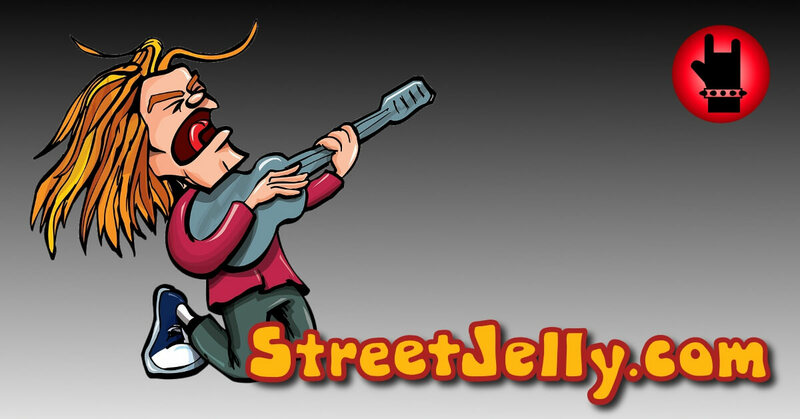 Contest open to any Musician Accounts on StreetJelly. Round 1 Eligibility: Token and viewer counts will be recorded from all performances at least 30 minutes in length. Round 1: Musicians with the top 5 total viewer counts for all shows will be chosen as finalists. Round 1: Musicians with the top 5 total tokens tipped during their shows will be chosen as finalists. Tokens from Rocker Pins also count. Round 1: Ten unique musicians will be chosen as finalists. If a musician is in both the Top 5 list of viewers and tokens, we&apos;ll move down the list to the next available winner on the Leaderboard. Round 1: StreetJelly will contact all finalists. If they wish not to participate, we will move down the list to the next available winner on the Leaderboard. Videos: Keep videos aprox. 5 minutes or less. Videos: Demonstrate in the video it is newly created by mentioning this contest. Videos: Feel free to briefly introduce yourself, explain the song, etc. in your video. Voting: All members on StreetJelly can vote. Must be logged in to vote. Voting: You can change your vote at anytime, up to the final voting deadline. Round 1 - Top 10 Eliminaton: July 1st - 15th, 2014. Make and Upload Videos to YouTube: July 16th - 20th, 2014. Round 2 - Voting: July 21st - Aug 1st, 2014. Winner will be announced: August 2nd, 2014. All date/time ranges are West Coast / Pacific Time (PDT, UTC -7 hours). StreetJelly reserves the right to disqualify any entries for fraud, screwing with the voting, running up viewer counts from fake users, inappropriate content, or just plain being a jerk.